Dr. Jim Bruseth shows members of the Caddo Culture Club pottery sherds last touched by their ancestors hundreds of years earlier. 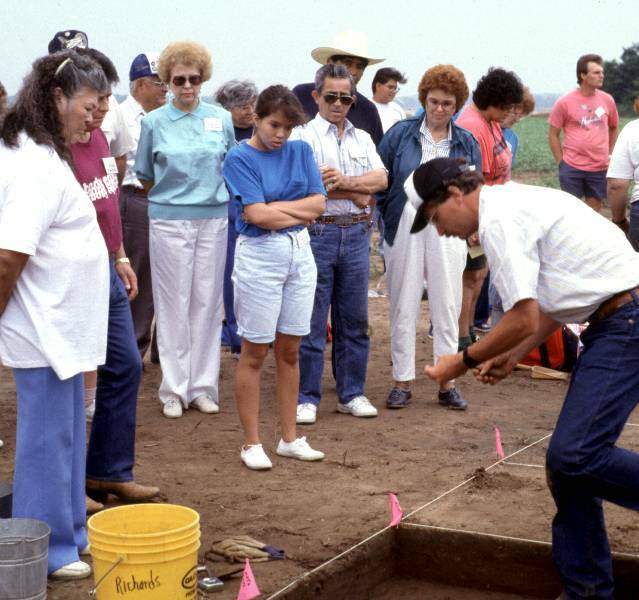 Texas Archeological Society, 1991 Annual Field School. Photo by Bill Martin.